Hello! Hope everyone had a wonderful weekend. 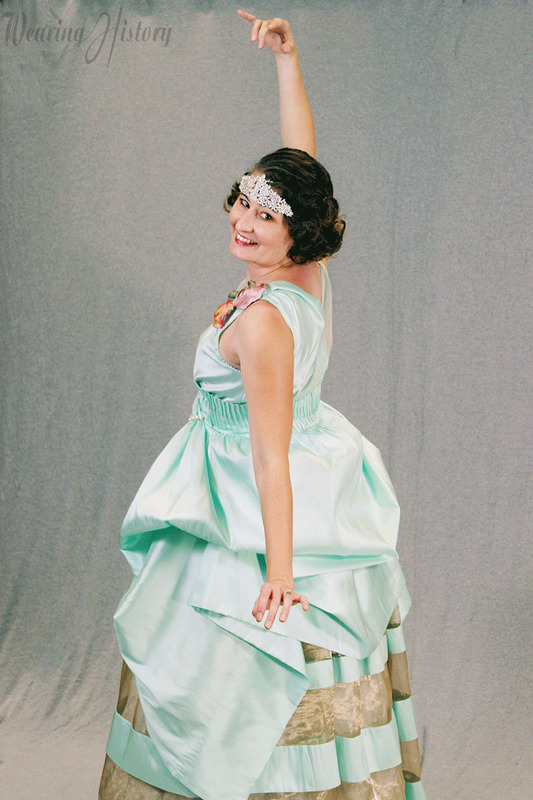 Today, I’m finally sharing my 2014 Costume College Gala Dress! 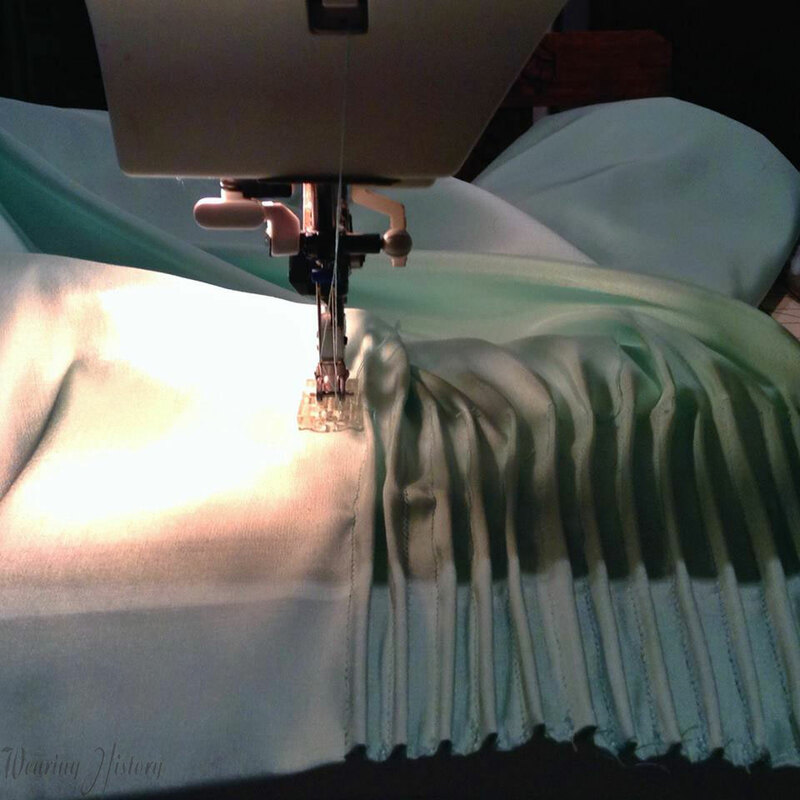 Several of us signed on to do a group project of Robe De Styles for this year’s Costume College. While most people think of 1920’s gowns with the panniers for Robe De Style (see my Pinterest board here), I wanted to do a bit of a predecessor of the style by doing 19-teens style of a similar silhouette. 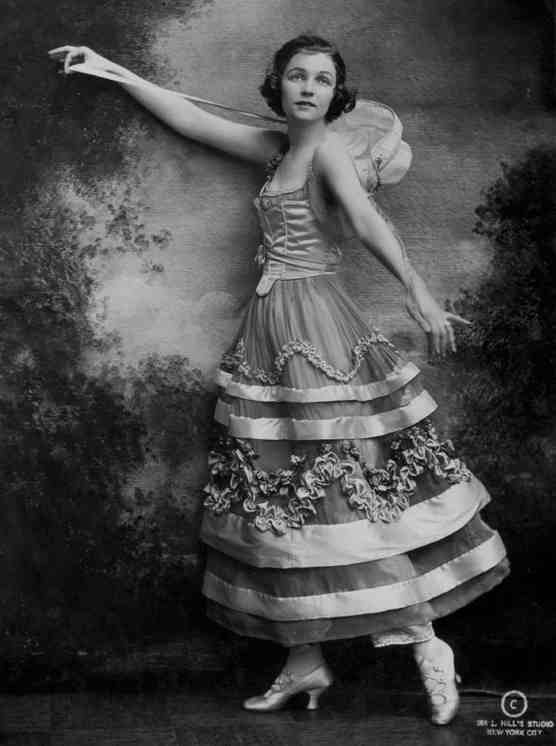 One of my favorite extant gowns of the 19-teens is the “Happiness” dress by Lucile from her 1916 Autumn collection. Lucile was also known as Lady Duff Gordon, who was a survivor of the Titanic disaster. If you’d like to see more of her work, check out my pinterest board. Since I’ve been utilizing Pinterest a lot for my projects, you can also see the other looks that I was brainstorming and inspired by for my gala dress, here. Lucile, 1919. In the collection of the Met museum. 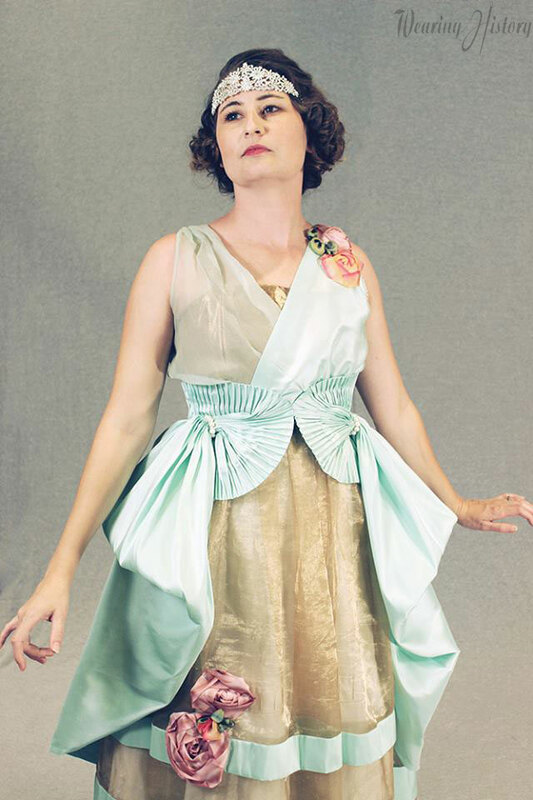 I loved the fullness of skirt of the “Happiness” dress, but I also loved the draped skirt on some of Lucile’s other work. I’ve also long been a fan of Irene Castle’s style. Vernon & Irene Castle were a world famous husband and wife dancing team of the 19-teens. Above she wears a Lucile creation. You can see my Pinterest board of Irene Castle’s style here. I was procrastinating for a long time on my Gala dress because I simply didn’t know what I wanted to do. Inspiration overload! I was also elbow deep in designing and prepping my new clothing line, and time was tight. Finally, I dug in and went for it. I started with a base of this pattern from the Vintage Pattern Lending Library for the bodice. All else was pretty much draped or cobbled together from my knowledge of period construction by studying extant garments. I was bad and didn’t even try it on, which meant that the torso was much too short for me (and I’m short waisted. Disclaimer, there, if you want to buy that pattern). I had seen tucks in several of the research photos I found, so I used a twin needle and started creating tucks to go around the waist. A little too tuck-crazy, I played with the fabric on the form until I found I really liked the loop of this “seashell” kind of design, created by draping and twisting the fabric. For fabric, I had a gold tissue lame silk chiffon in my stash which I had planned on using for an Edwardian gown. 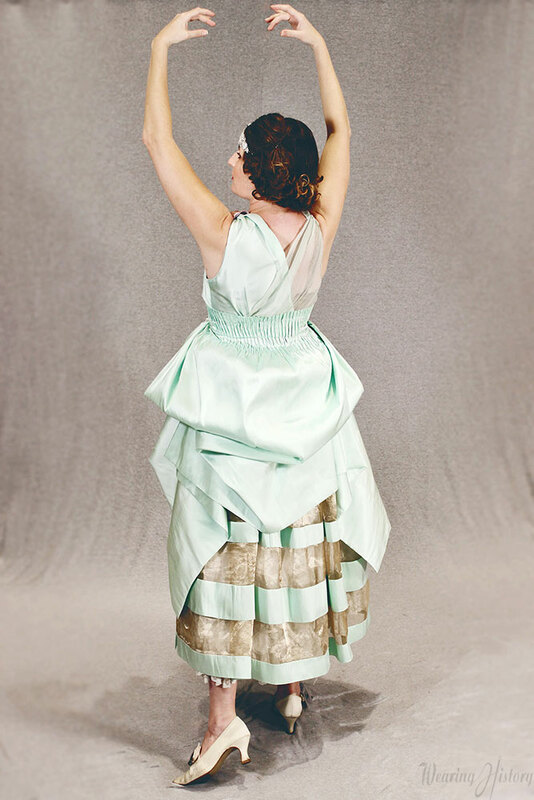 I also had a sea green crinkle silk chiffon, and I bought the sea green silk taffeta in Los Angeles a few weeks before Costume College. With these, some belting, some beading, and some silk roses (made during class on Saturday! ), I made this dress. I am not a dancer, and not graceful, so luckily I had some help with posing from some friends and bystanders so I could attempt at the poses I loved in Irene Castle’s photos. Yay! I love this dress! I am a little unhappy I was in such a rush that I didn’t get to do the fittings I really needed, so the armholes are a little wonky and the torso is a little too short, but otherwise, I really love the dress and I’ll be looking for an excuse to wear it again. And, because I was asked at Costume College- I’m sorry, there won’t be a pattern for this. It was just a personal project, and it’s a bit too complicated to do into pattern form. This was one of my absolute favorites at CoCo! 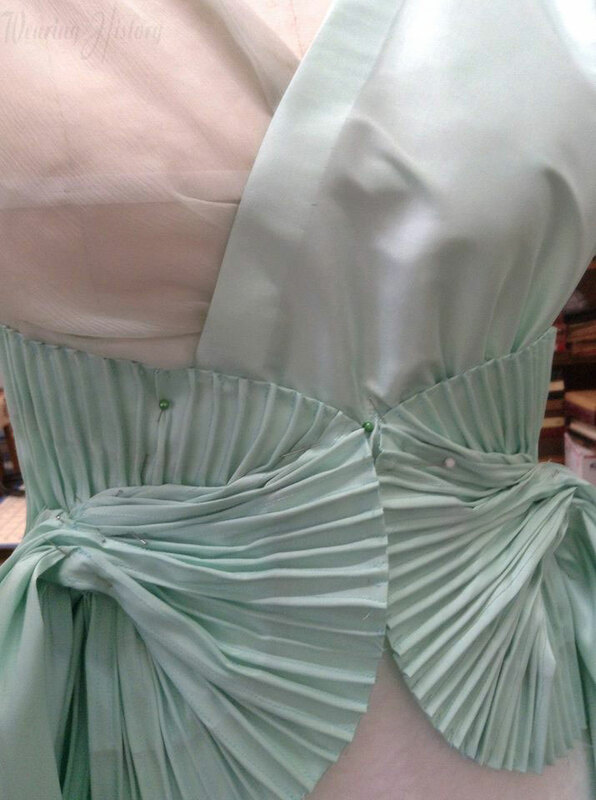 I’m still in love with the pleating detail around the waist area. You have the most fabulous face! Whatever era you wear your face looks just right. Lovely, lovely gown too. I always appreciate you sharing in pictures and words your boundless talent. Keep up the good work. Your dress is incredible. I wish could put into words how impressed I am with the work you produce. 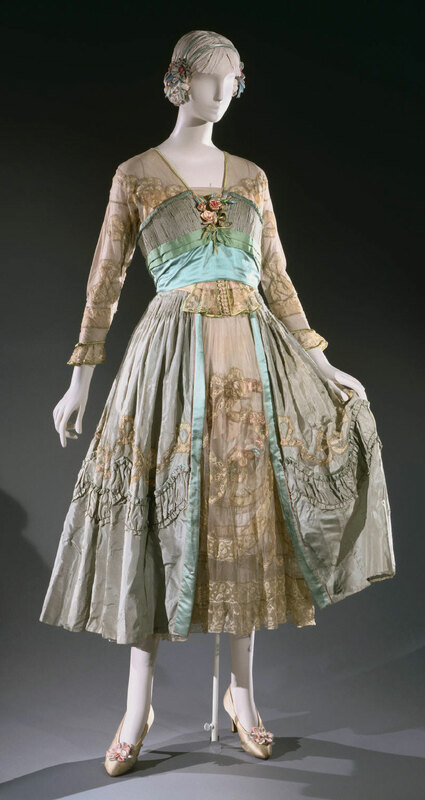 It looks like something a character in a show like Mr. Selfridge or Downton Abbey could wear and no one would even know it wasn’t actually from the 1910s. I LOVE this dress! You’ve been teasing us for so long; I’ve been dying to get a look at the entire dress – Beautiful!!! That color combination is incredible. I probably say this everytime you debut your latest creation but I think this one is my favorite!!!! I LOVE this gown… The colors are gorgeous and it looks SO REAL! This is such a gorgeous, elaborate dress!! I’ve never seen a more beautiful “modern-made” vintage dress. Lovely, lovely job!!! You look so perfect, I love to see this period of dress recreated, and you did a fantastic job. Love the color combination and the roses !!! I loved all the details in your dress and was happy I was able to get close enough to take photos of it. This is SO gorgeous! I’m madly in love with it and have been eagerly awaiting the post since I saw CoCo pictures! Of all the amazing things you have made, I think this is my favourite! Wow, that dress is amazing! I love this late 1910s silhouette, somehow it is so often overlooked (maybe here in Europe because of the WW1, so little has survived).